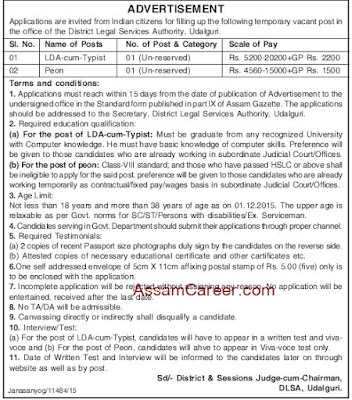 District Legal Services Authority, Udalguri. 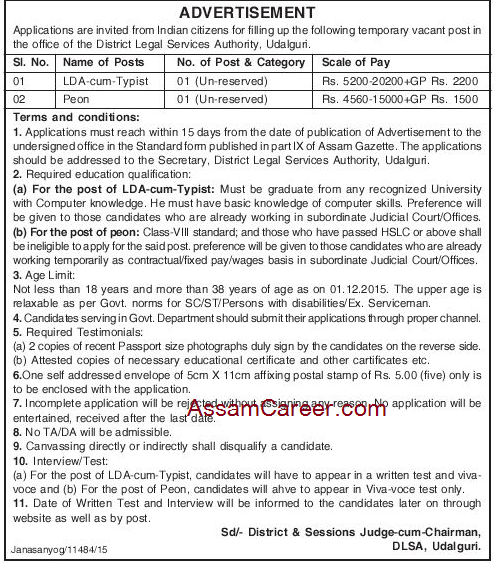 District Legal Services Authority, Udalguri invites applications in prescribed Standard Form from Indian citizens for filling up of the following temporary vacancies. Educational Qualification: Graduate from any recognized University with computer knowledge. Age: 18 to 38 years as on 01-12-2015. Educational Qualification: Class VIII Standard and those who have passed HSLC or above shall be ineligible to apply for the said post.